CUI’s Power Group today has announced the addition of two models to its PBO family of ultra-compact AC-DC power supplies. Outputting 1 W of continuous power, the open frame PBO-1 and PBO-1-B series are housed in vertical and right-angle SIP packages, respectively. The vertical PBO-1 series measures as small as 35 mm x 11 mm x 18 mm (1.38″ x 0.43″ x 0.71″), while the low profile, right-angle PBO-1-B series measures as small as 35 mm x 18 mm x 11 mm (1.38″ x 0.71″ x 0.43″), making them well-suited for industrial systems, automation equipment, security, telecommunications and smart home devices where limited board real-estate is a factor. These high density power supplies feature wide input voltage ranges from 85 to 305 Vac or 70 VDC to 430 VDC for high voltage DC-DC applications. 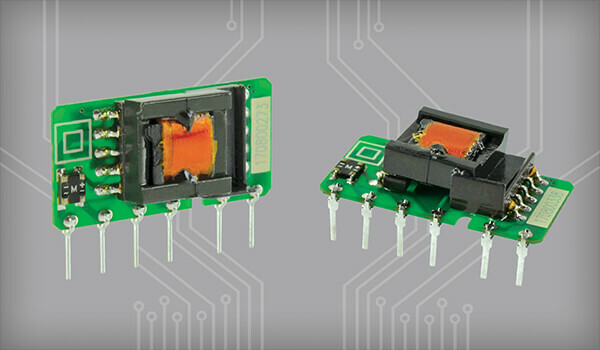 The PBO-1 and PBO-1-B come available with single output voltages of 5 V, 9 V, 12 V, 15 V, and 24 V DC and offer 3,000 VAC input to output isolation. Both series also offer a wide operating temperature range from -40°C to +85°C at full load as well as over current and continuous short circuit protections with auto recovery. All models further feature class II construction, carry UL 60950-1 safety approvals, and bear the CE safety mark. The PBO-1 and PBO-1-B series are available immediately with prices starting at $4.74 per unit at 100 pieces through distribution.